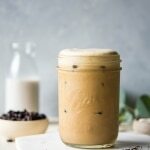 This creamy collagen boosted iced coffee is made with your favorite cold brew coffee, almond milk, maple syrup, vanilla, a pinch of sea salt, and of course, collagen! 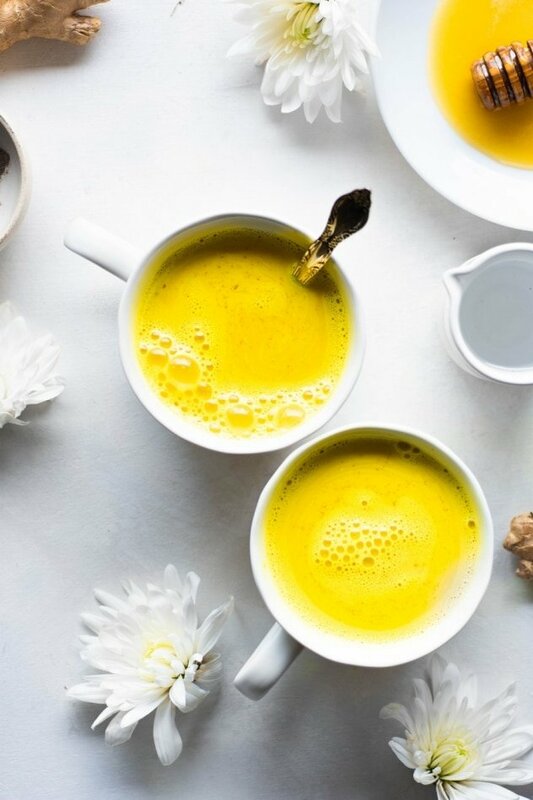 Super easy to make and a seriously delicious caffeinated pick-me-up. 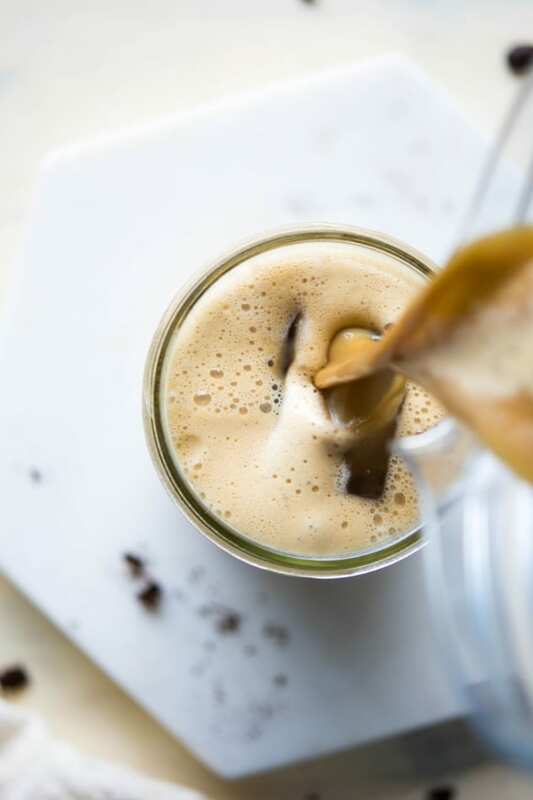 All the iced coffee lovers in the house raise your hands!  I am that girl that drinks iced coffee all year round. Maybe a little less in the winter than in the summer – but really only because most coffee shops stop making cold brew after Thanksgiving . I do ALSO love a steaming hot cup of joe when the timing is right, but if I had to pick one – it would be iced. I actually photographed this recipe forever ago. Like probably the beginning of summer. Which is a little embarrassing to say. 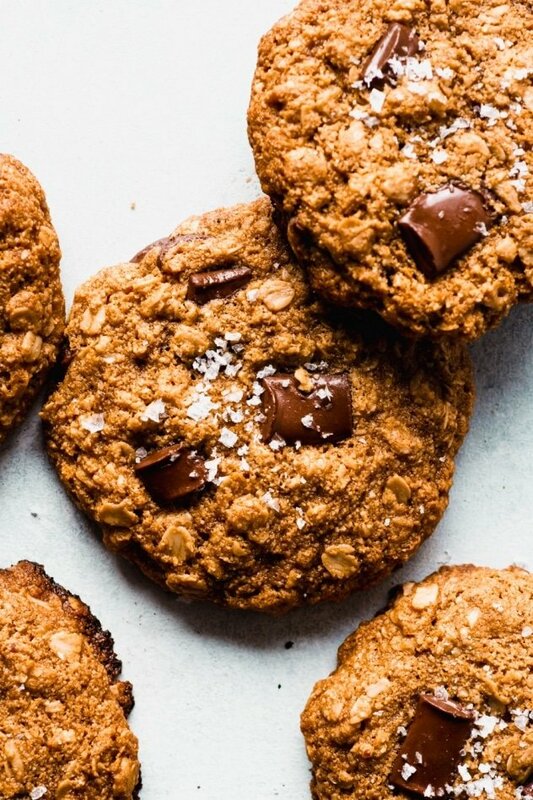 But I was making it and sharing it on my Instagram stories and just kept getting all the questions about it – so I thought that’s probably a sign that y’all would love a recipe! 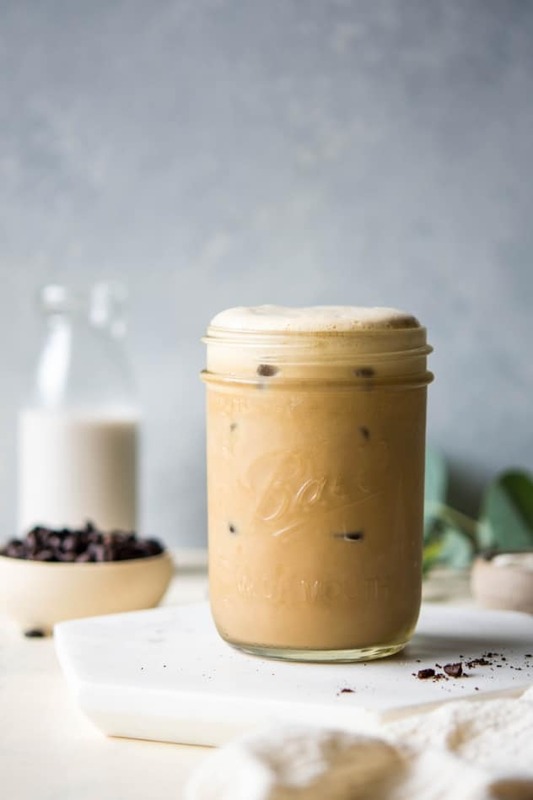 But then everything summer happened, my life got stupid crazy, and now here we are tip toeing the line between summer and fall and I’m all – HERE’S THAT ICED COFFEE RECIPE, GUYS! Oh well, I hope you still love it anyways. Because it’s pretty bomb dot com. So what’s up with the collagen? 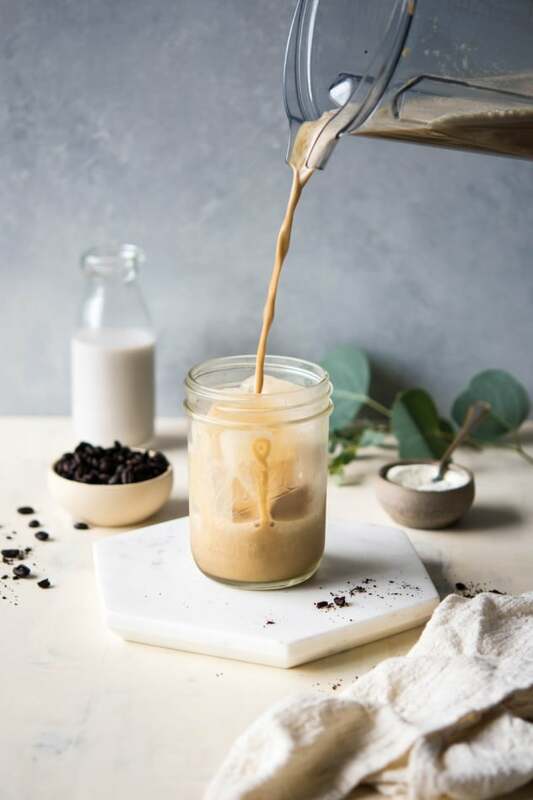 Cold brew, vanilla, almond milk, maple syrup – all pretty familiar ingredients. But what’s up with the collagen? 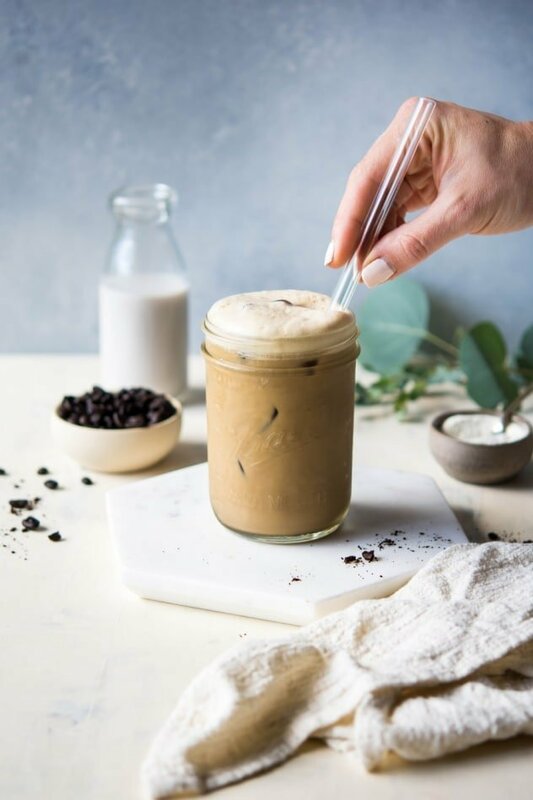 So you could make this iced coffee without the collagen, but then you’d be missing out on some potential health benefits AND the most serious layer of foam you’ve ever seen in your life. Like an absurd amount, really. Foam that makes you wanna have a dance party in your kitchen just you and your latte. That’s the power of collagen, my friends. 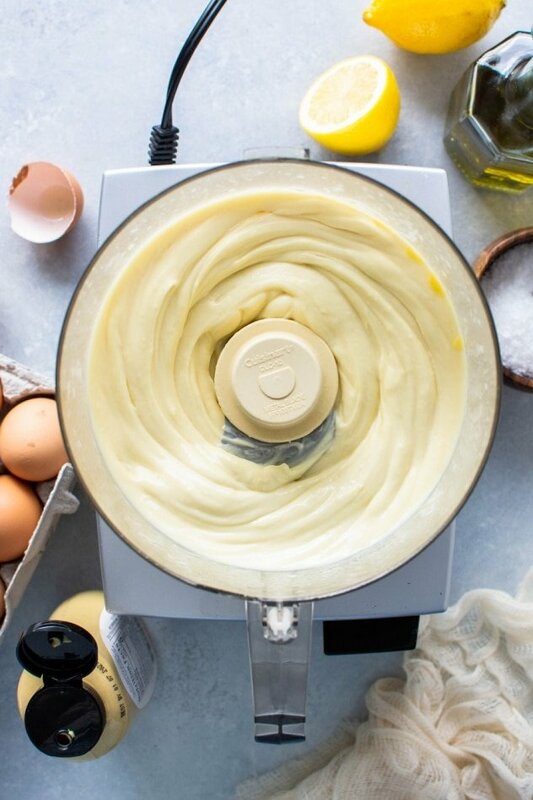 Add all ingredients to a blender and blend on high until nice and frothy. 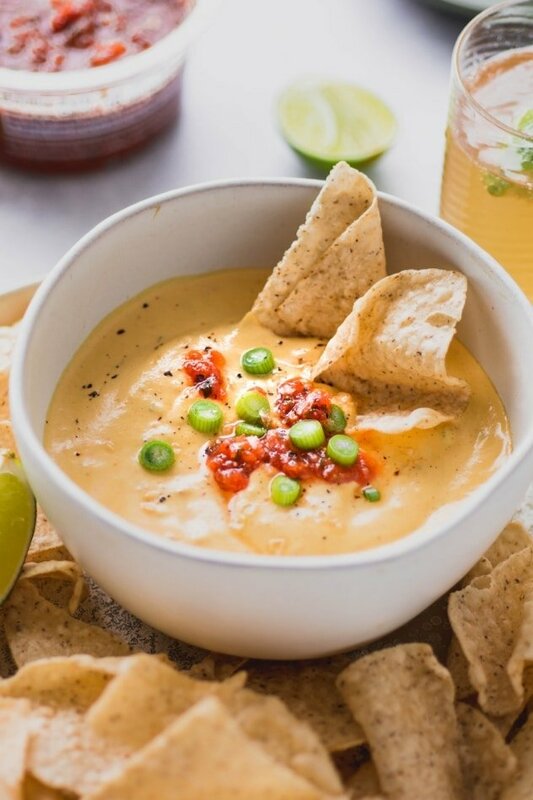 Pour into a glass with ice and enjoy! 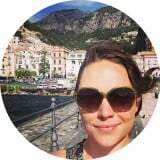 This entry was posted in drinks and tagged blender, coffee, dairy free, easy, paleo on September 6, 2018 by Nyssa Tanner.